Select Size 4 oz. 10.75 oz. 13.57 oz. 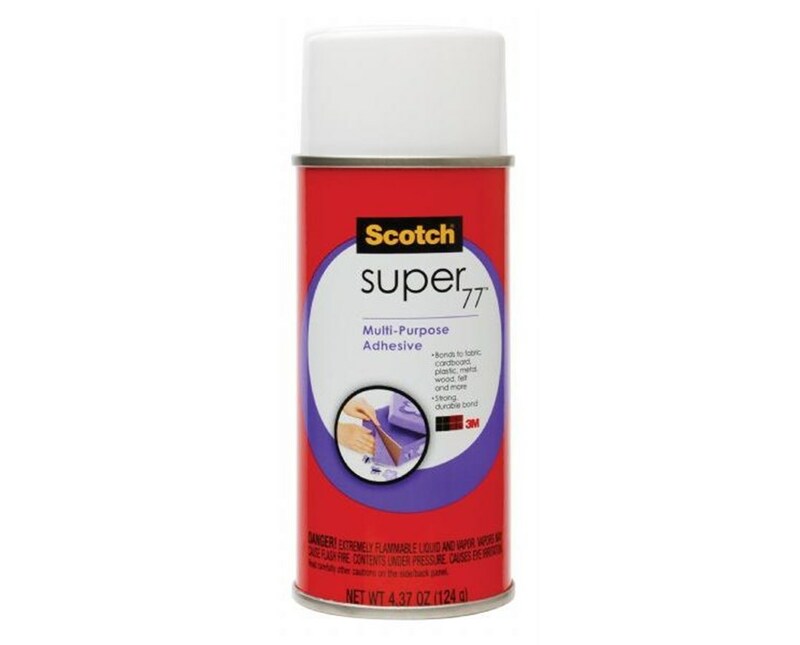 The Scotch Super 77 Multi-Purpose Spray Adhesive has a fast, aggressive tack with high coverage. It is fast-drying and bonds quickly in 15 seconds. A multi-purpose and versatile adhesive, it permanently bonds most lightweight materials including foils, foams, papers, cardboards, fabric, and more to wood, hardboard, and painted or unpainted metals. This multi-purpose spray adhesive provides a low soak-in for long-lasting bonds. It is flammable and can resist heat up to 150 degrees Fahrenheit. Available in three sizes, the Scotch Super 77 Multi-Purpose Spray Adhesive offers solutions to many bonding applications. 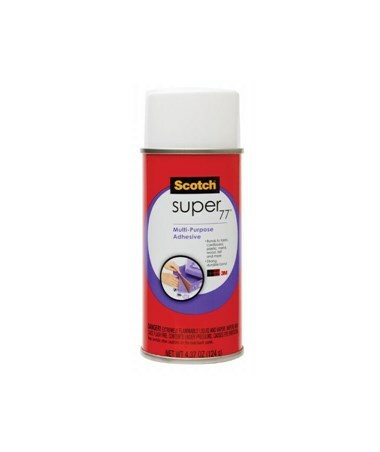 The Scotch Super 77 Multi-Purpose Spray Adhesive comes in threes different sizes. Please select your preference from the drop-down menu above. Product Weight (lbs) 4 oz. / 10.75 oz. / 13.57 oz. Size: 4 oz., 10.75 oz., or 13.57 oz.